Experience nine fabulous flavors of Meduri all-natural dried fruits and blends, including some of our most popular fruits and mixes. 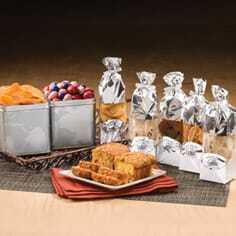 The Heavenly Nine-Sampler Gift Set includes 6 oz. 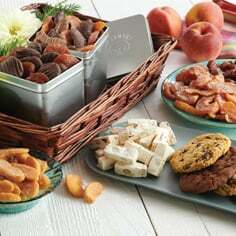 mylar packet each of: Mandarin orange slices, Double Red grapefruit slices, Sweetglow® apricots, Cinnamon Fuji Apple Wedges, blueberries, Harvest Pride® peaches, Strawberry-Rhubarb Bites, Marco Polo Mix and Meduri Trail Mix all beautifully gift-boxed. 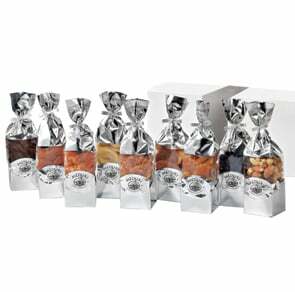 A sampling of our best at a $10 savings over individual packet prices. 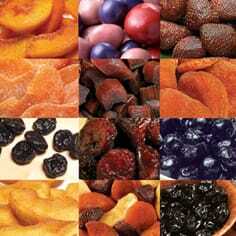 Take a moment to peruse all of the fantastic dried fruit sampler sets at Meduri World Delights!